It started, like most memes, with a random clip of video from a few years ago. 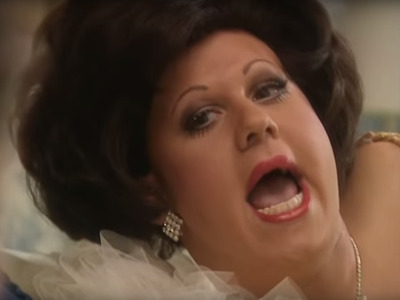 In a scene from the comedy show “Little Britain” where a reporter interviews people parodying Shirley Bassey and Tom Jones, the singers talk about the celebrities they know. “But that’s you,” the interviewer responds. The meme really took off when @KingBeyonceStan (it means he likes Beyonce) employed the line against a string of singers. Now before you write me off as bias I’m going to start out with one of my all time favourites. Like, I love her. -The first white woman I ever loved. -lipsyncing since the first Bush adm.
-everyone thinks she has the range. -hey remember rock n roll?